Bangladesh’s young pacer Taskin Ahmed and injury have been synonymous to each other for last six months as the 23-year old right-arm speedster is still recovering from another injury. Taskin went to Ireland with Bangladesh A team for their five-match unofficial ODI series against the hosts but his back injury forced him out of the series in first three matches. In the fourth match he joined the playing eleven but ended up injuring his finger. “I needed seven stitches in my hand after injuring myself in training. Unfortunately, I got injury at the same spot again while fielding against Ireland A. I had two more stitches in my previous wound,” said Taskin. 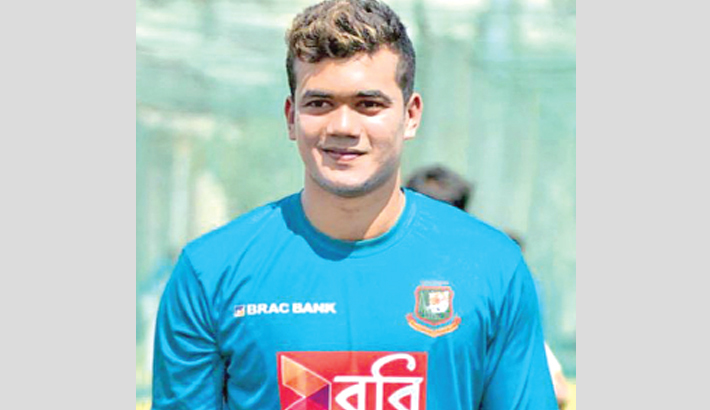 Although Taskin has been out of national duty for a long time due to injury and lack of form, he expressed his confidence about returning to red and green jersey. “Our bowling coach Champaka Ramanayake seemed contented with my bowling and I felt it too. But now there’s nothing to do till my recovery. I am hopeful of returning in the field within two weeks,” said the speedster.